One of the best parts of working at Epic Times is that we get to put our ear to all things trending and developing in the world, from pop culture collectables to the latest gadgets, Each month we will gather, identify and feature everyone’s latest ‘Craves’ in the office to share with all of you. Smarter Coffee - The world's first WiFi coffee machine. Who’s craving - The Entire Epic Office! If you press your ear against the window you’ll faintly hear every barista in the country gently banging their heads against a wall, because the future is here - the world's first wifi coffee machine, sorry over priced coffee franchises, looks like your days could be numbered! No more faffing about with grinding and doses, tamping or twisting, from now on everything is controlled with a few gentle smartphone gestures. This futuristic device makes coffee from bean to cup, without having to wait in that cold, dreaded cue at the train station where you know the guy is going to spell your name wrong on the cup! With optional personal tweak that allow you to change coffee strength and even how coarse the beans are grounded it’s a pretty tempting crave, especially with the ‘welcome home mode’ which means a cup of joe is brewed instantly when you walk through the door, a handy feature that could be used at the Epic HQ. Exclusively at Firebox with a price tag of £149.99 it’s a bargain that we won’t be walking past, it’s official, mornings will never be the same again. Better Call Saul - We don't need a criminal lawyer, we need a CRIMINAL LAWYER! If, like us, you’ve had withdrawal symptoms after Breaking Bad’s ultimate finale then you’ll be eager in anticipation for ‘Better Call Saul’ the AMC/Netflix spin off show revolving around everyones favourite criminal lawyer, Saul Goodman, the quick witted and cowardly attorney of law that’s on everyones hit list. Set in 2002, Better Call Saul focuses on the life of small-time lawyer Saul Goodman (Bob Odenkirk) seven years before his appearance on Breaking Bad, though events during and after the original series are also explored. Stumbling through the trials and tribulations of our criminal lawyer in the time leading up to establishing his strip-mall law office in Albuquerque, New Mexico, we are expected to re-visit old scenes, familiar characters and new challenges. We’re hoping for a visit from Walt and Jesse, although it’s been rumoured that our famous chemist will not be making an appearance this season, but possibly in the second season which has already been renewed before its premiere date. So far the series is a hit with fans of Breaking Bad and we’re loving the back story behind Saul’s rise to fortune and glory. Delorean Phone Case - This is heavy doc! We thought the light up bat mobile phone case that was revealed last month was the coolest case around, until now. Japanese company Bandai has unleashed its latest ‘Crazy Case’ in the form of the iconic Delorean from the Back To The Future franchise. 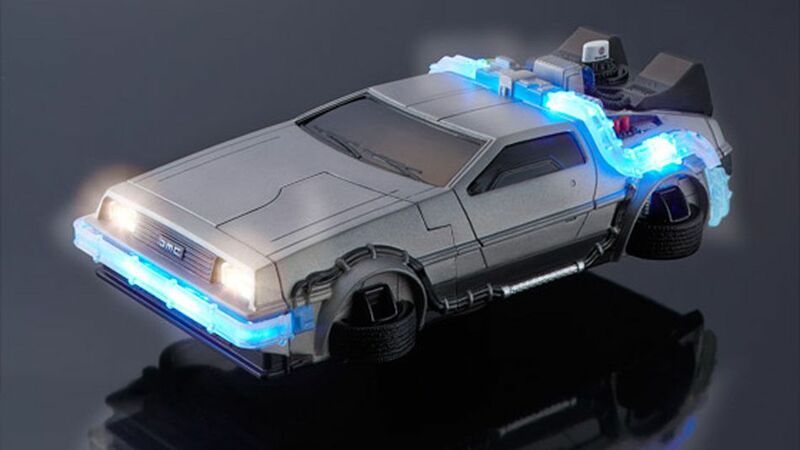 Featuring remarkable details of the DMC -12, it comes directly from BTTF part 2 with the wheels already in hover mode, with the option to flip out the front tyres to access the camera and side controls, Great scott! Things are about to get heavy, because the best function of all is when you have an incoming call the wiring and headlights flash and light up, but the main question is when this baby hits 88mph can we talk into the past, present and future? Probably not. It's retailing at 5,940 yen (£32.62) and currently is only offered to fit the iPhone 6. Game of Thrones Monopoly - Family Feuds are Coming. Go to the Wall, do not pass Winterfell and do not collect 200 gold dragons. 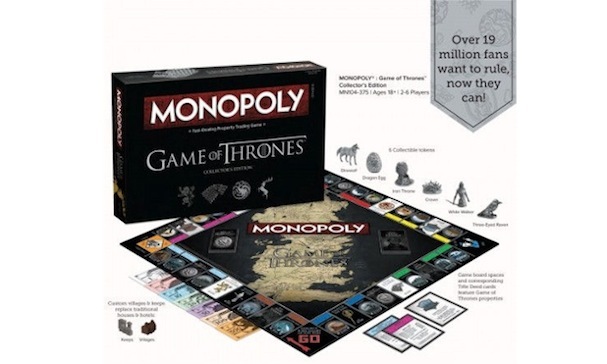 Toy Fair 2015 unveiled a bucket load of awesome new collectables and merchandise for this coming year, but the most awesome board game announcement had to be this, the Game of Thrones Monopoly set. Jumping straight out of the HBO epic series, we will be introduced to the world of westeros where players have to buy, sell and exchange land and property to sit on the Iron Throne, with all new collectible tokens and cards this set looks just as Epic as the books and show, and we call dibs on the awesome Direwolf token! Say goodbye to the traditional houses and hotels as we make way for villages and Castles, and whilst the iconic properties of London are removed we are given all of our favourite George RR Martin locations; stations are swapped for all of the major houses, Lannister, Baratheon, Targaryen and of course our personal favourites House Stark. We best get saving to buy up Casterly Rock as we hope it gives us all the Lannister gold we could hope for, but we are still unsure whether mortgages will be exchanged for all our war or not, we sincerely hope so. The game is brought to you by the guys who designed the popular deck-building game, Ascension. 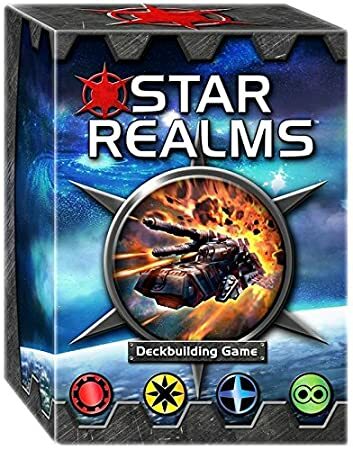 Star Realms is looking to be an awesome, quick deck-builder that's super easy to learn, about duelling factions in space. The game just won a fair few Golden Geek awards on BoardGameGeek.com. Download the app now on the App store and Google play to give it a go for free or buy it now for £12.45 over at http://www.amazon.co.uk/White-Wizard-Games-WW500-Realms/dp/B00HRGMPIU/ref=sr_1_1?ie=UTF8&qid=1424873707&sr=8-1&keywords=star+realms. Overall, there were many more craves we all wanted but this is just a shortlist of the most talked about this month, so keep the conversation going, tweet us @FollowEpicTimes and tell us your 'Craves' this month with #EpicCraves!